Learn the string trick Pop N’ Fresh. 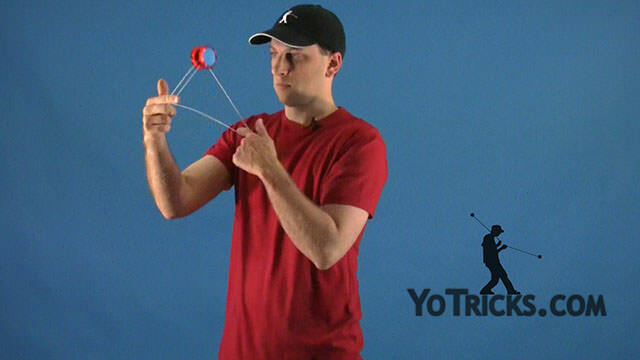 Pop N’ Fresh Yoyo TrickThis trick is called Pop n’ Fresh and it looks like this. You may have noticed that this trick starts off exactly the same way as Mach 5. Just like Mach 5 you are going to go under, over the top and then under again. 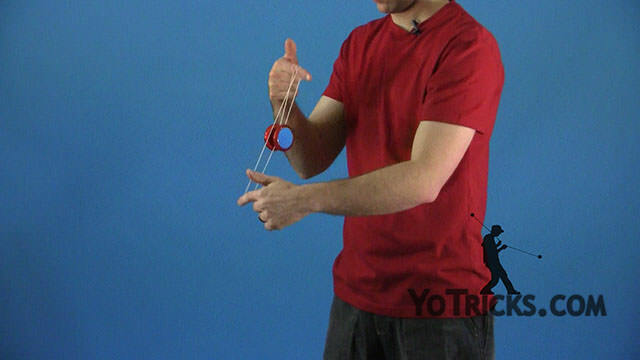 Normally with Mach 5 you are going to be doing a rotation like this, but with Pop n’ Fresh you are just going to position your hands with your yoyo hand out front. From here, that is where you are going to start doing your hops. Again, you just go under over under and you have go your setup right here. 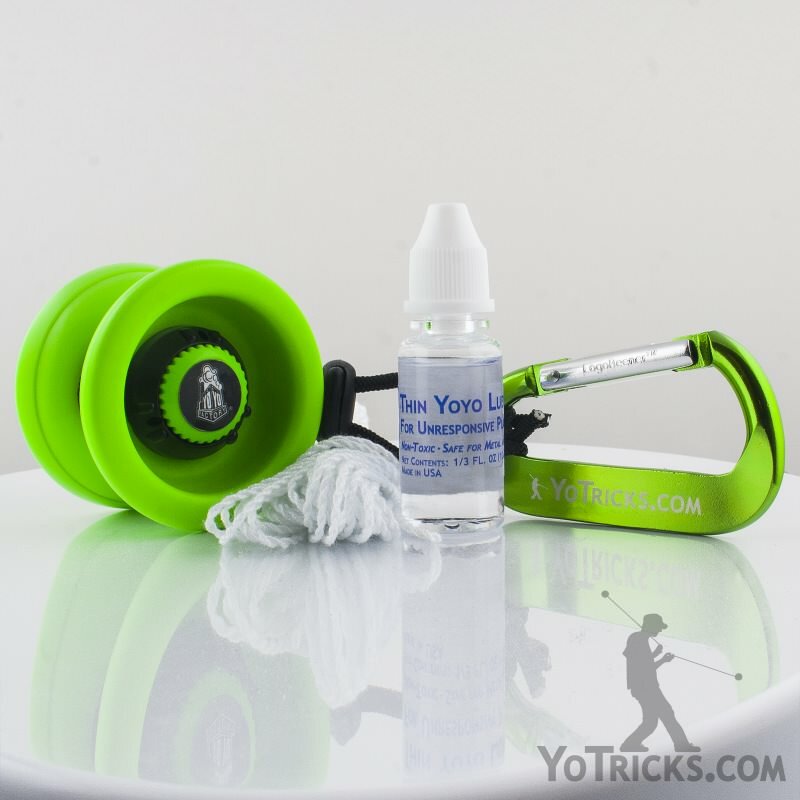 To get the yoyo to hop off the string, a lot of times you may think that you want to pull your hands apart and that will cause the yoyo to come up. You can do that but I have found that it is easier if you just lift your hands like that, and that will cause the yoyo to pop itself off. So you kind of lift and that will cause the yoyo to go up, and this is where the trick gets complicated. You are actually going to switch the position of your hands. 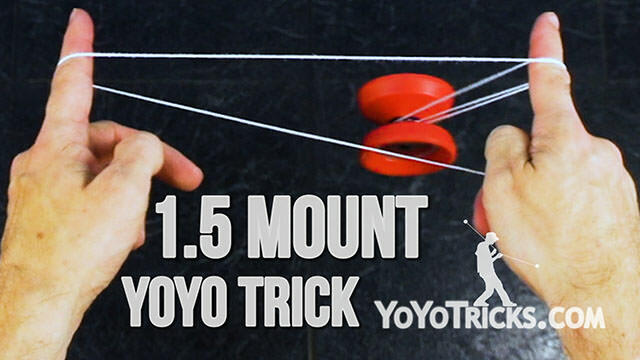 The tendency, especially when you are first learning this trick, is that you are going to want to go around the yoyo like this. That won’t work. You need it to be absolutely straight. I’ll show you what I mean. You can see that my hands are just continually straight. As I switch back and forth. Again, you are going to start with your yoyo hand out front. You are always going to try to hit this string on your second pass, because that is what makes the trick work. Usually you are going to end on your opposite throw. So if you end on your first throw that will pretty much put you back into a One and a Half Mount. If you end on your other throws that will set you up in the same position as Mach 5 and you could actually do a Mach 5 out of the trick if you wanted. 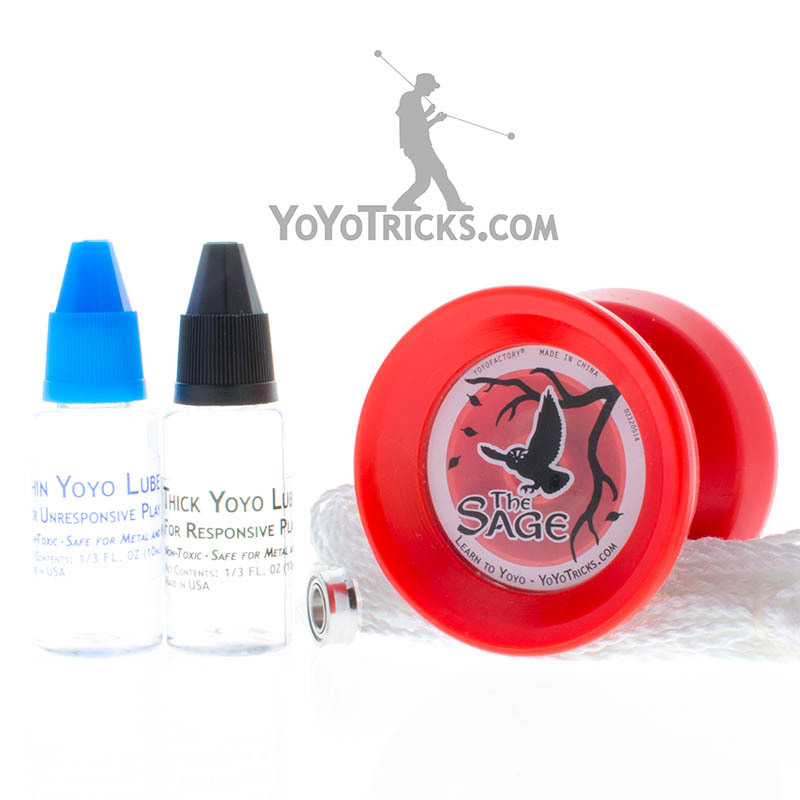 So either way will work really, but I have found that it is usually easier to get out of the trick on a One and a Half Mount, which is going to be on your opposite throws. You just want to keep practicing it. It can be difficult to keep the accuracy up on the trick, but once you get better and better at it you will find it is not really a problem, just like every trick. So work on it. That’s Pop N’ Fresh.